A color can be light or dark. This refers to how close it is to either white or black. Also, a color can be warm or cool. In PCA, this refers to how much yellow (warm) or blue (cool) is in it. You may be familiar with this concept from shopping for red lipstick. 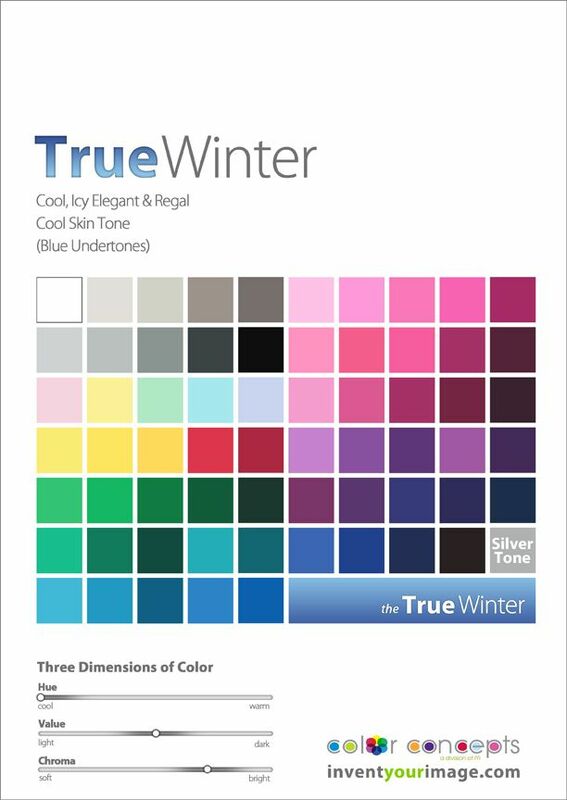 • True Winter looks most harmonious in colors that are cool, medium-to-very bright and medium-to-very dark. 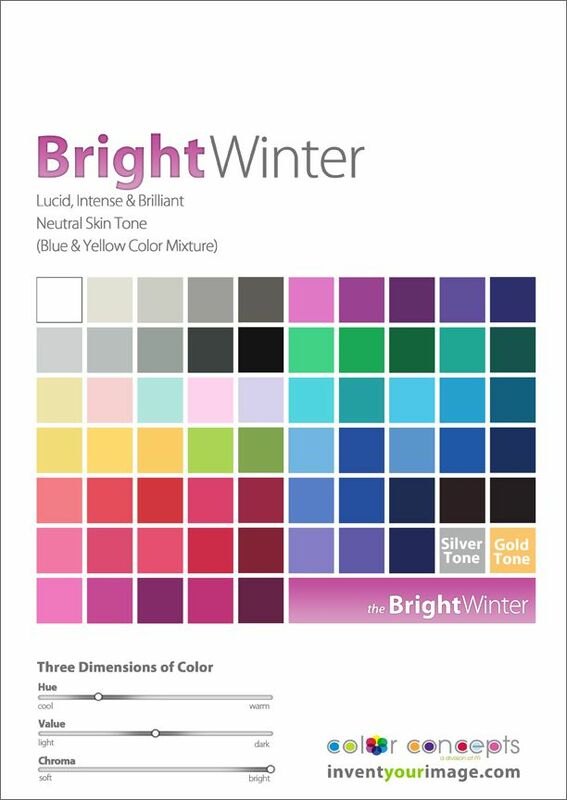 • Bright Winter looks most harmonious in colors that are bright, medium-to-very dark and slightly cool. 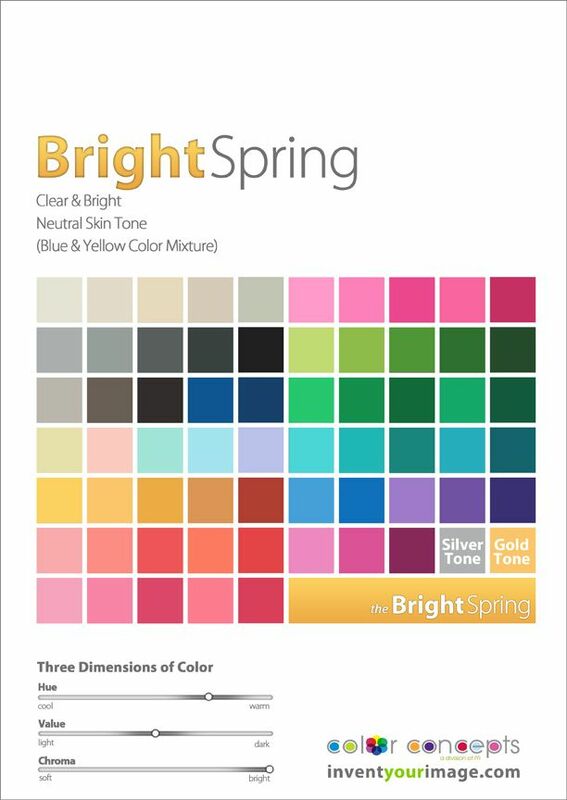 • Bright Spring looks most harmonious in colors that are bright, medium darkness and slightly warm. 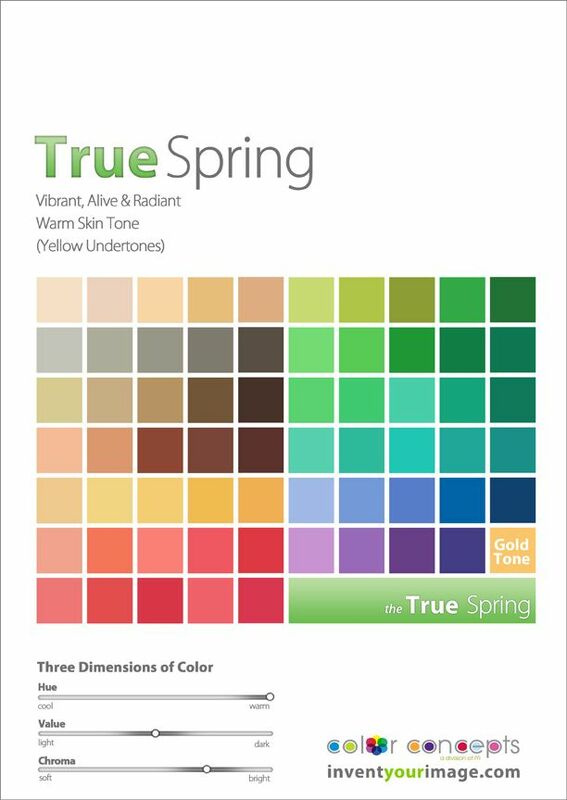 • True Spring looks most harmonious in colors that are warm, medium-to-very bright and medium darkness. 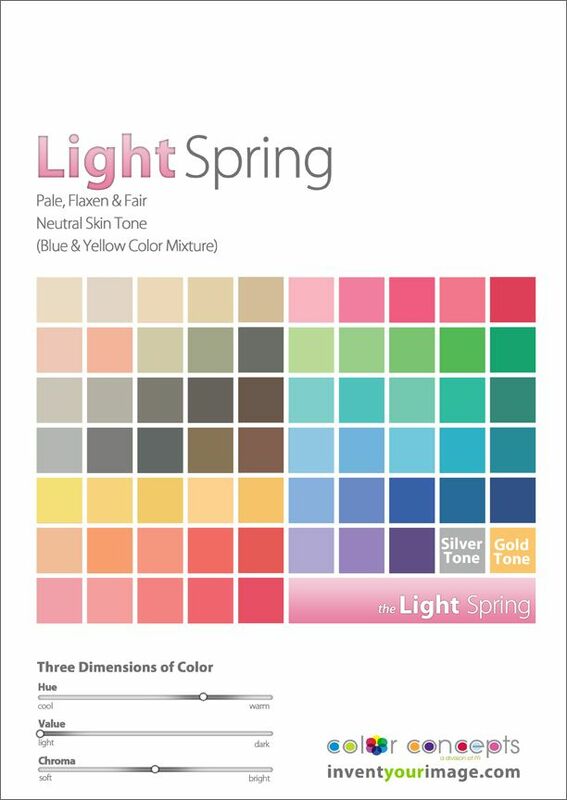 • Light Spring looks most harmonious in colors that are light, medium brightness and slightly warm. 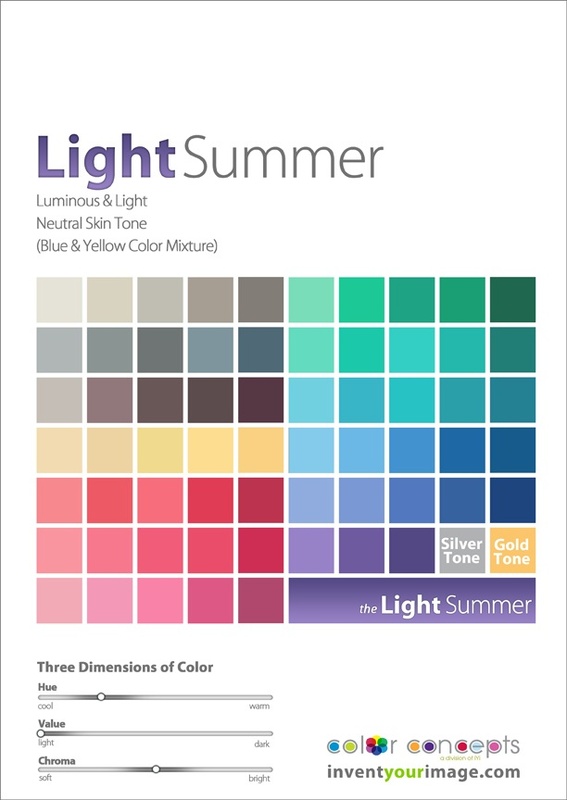 • Light Summer looks most harmonious in colors that are light, low-to-medium brightness and slightly cool. 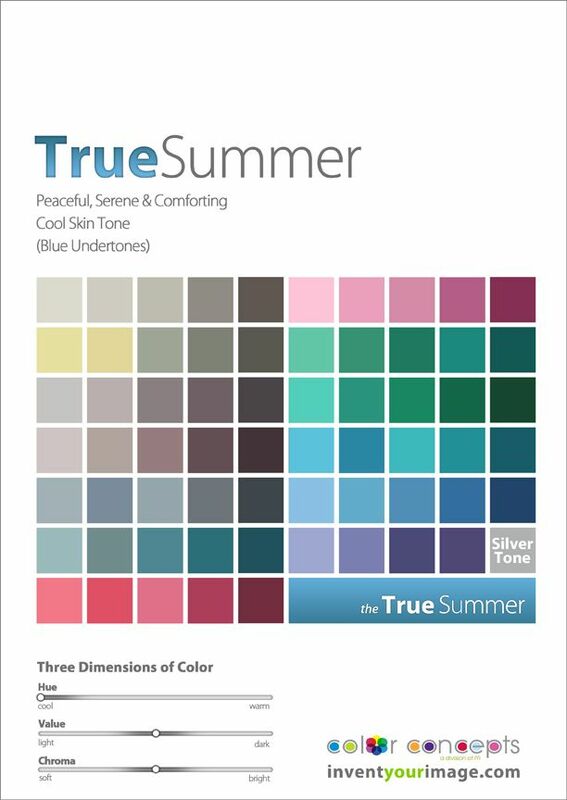 • True Summer looks most harmonious in colors that are cool, medium brightness and medium darkness. 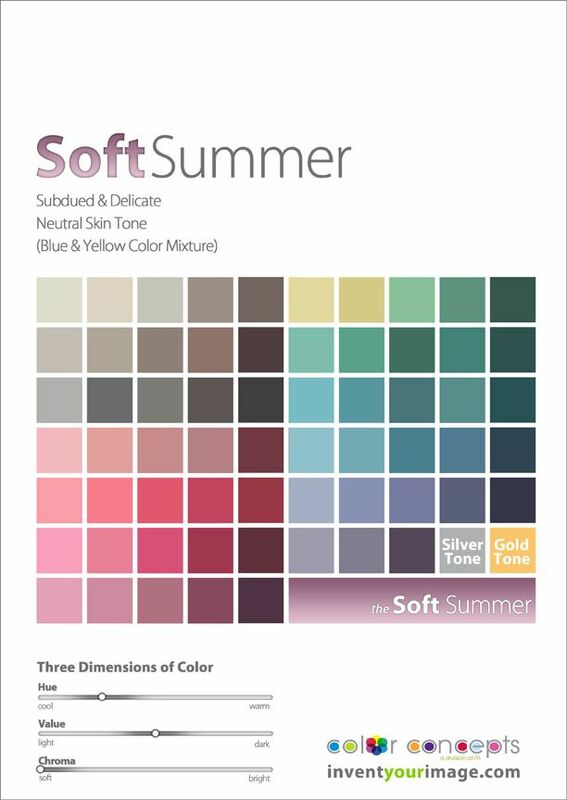 • Soft Summer looks most harmonious in colors that are muted, medium darkness and slightly cool. 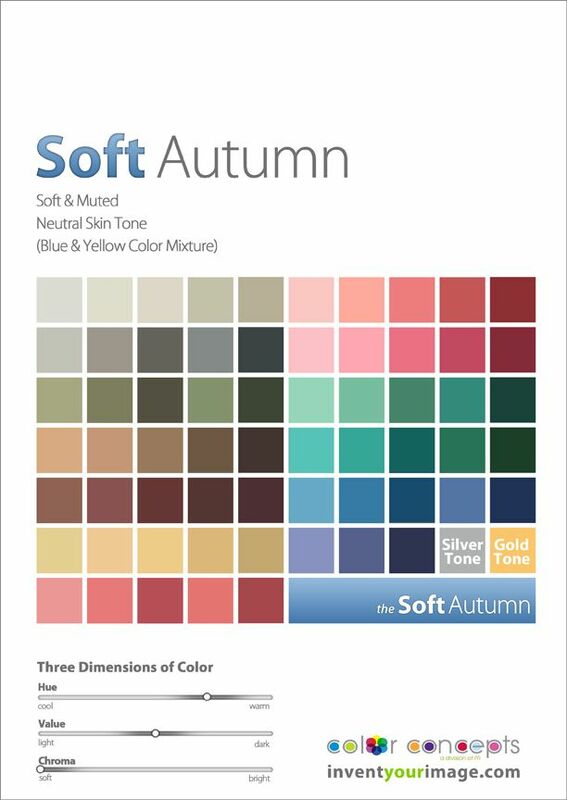 • Soft Autumn looks most harmonious in colors that are muted, medium darkness and slightly warm. 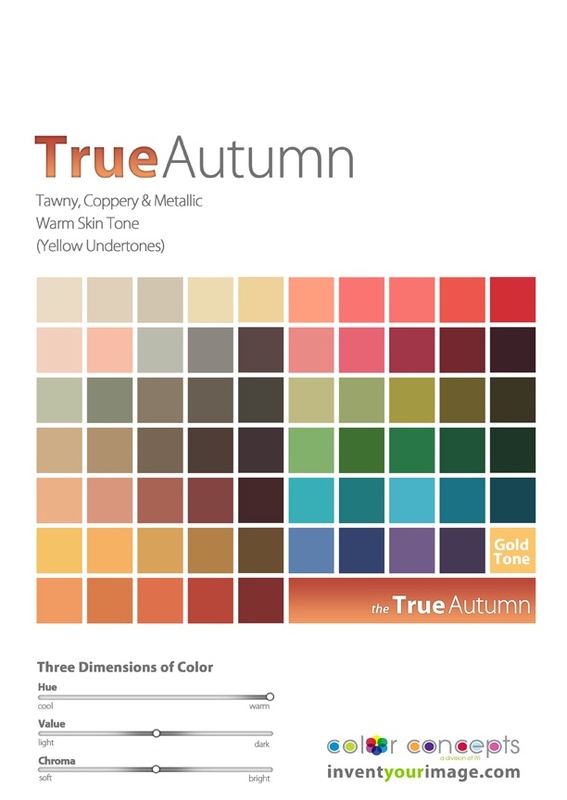 • True Autumn looks most harmonious in colors that are warm, medium-to-very dark and medium brightness. 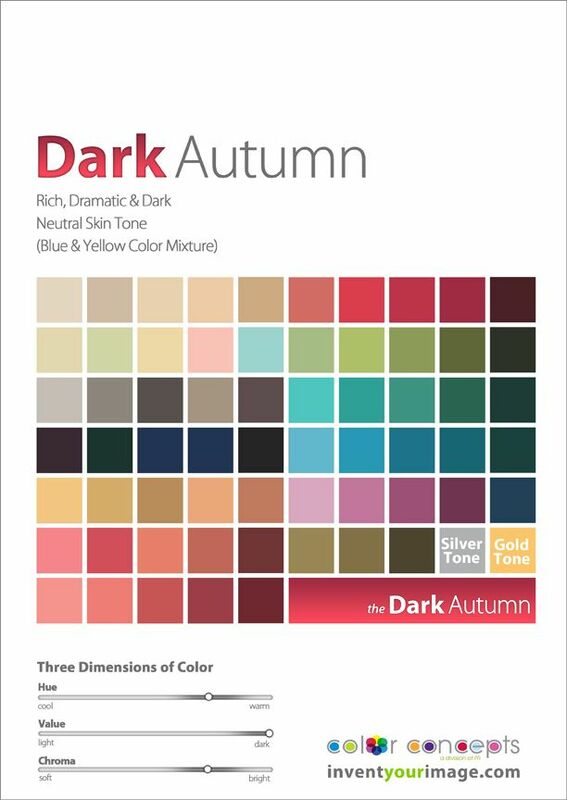 • Dark Autumn looks most harmonious in colors that are dark, medium-to-very bright and slightly warm. 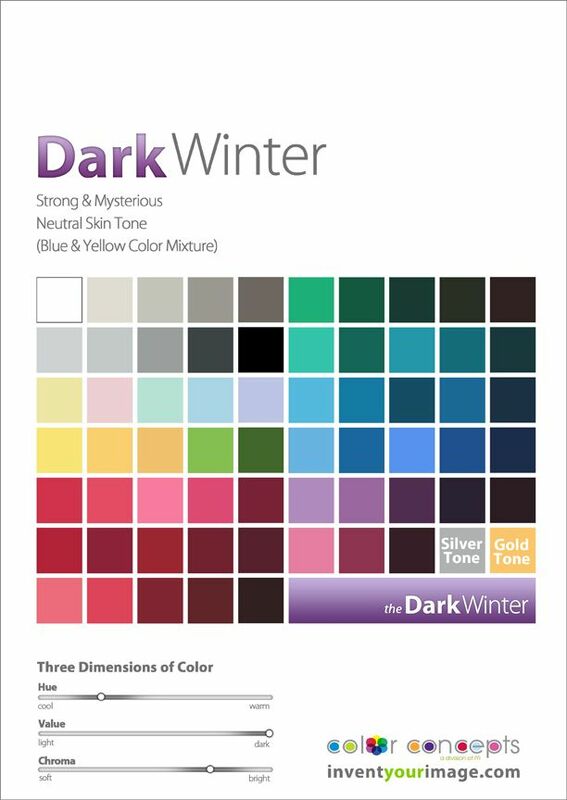 • Dark Winter looks most harmonious in colors that are dark, medium brightness and slightly cool. Put a color near your face, and look at your face (not the color). What do you observe? A harmonious color seems to look like it “belongs” to your face, like nature dressed you that way. Everything looks normal and nothing looks distorted. Not sure what you’re seeing? Hold up a different color, and observe any changes. Better or worse? Different? Different how? The above experiment is easiest to judge in natural light, without makeup on, and in the most neutral-colored environment you can create. So how can I determine my season? A tightly controlled environment - pure neutral gray room, neutral gray robe, full spectrum lights. Another is that an analyst will have calibrated drapes of a full array of colors that are matched to the different seasons, that accurately represent the different color characteristics.